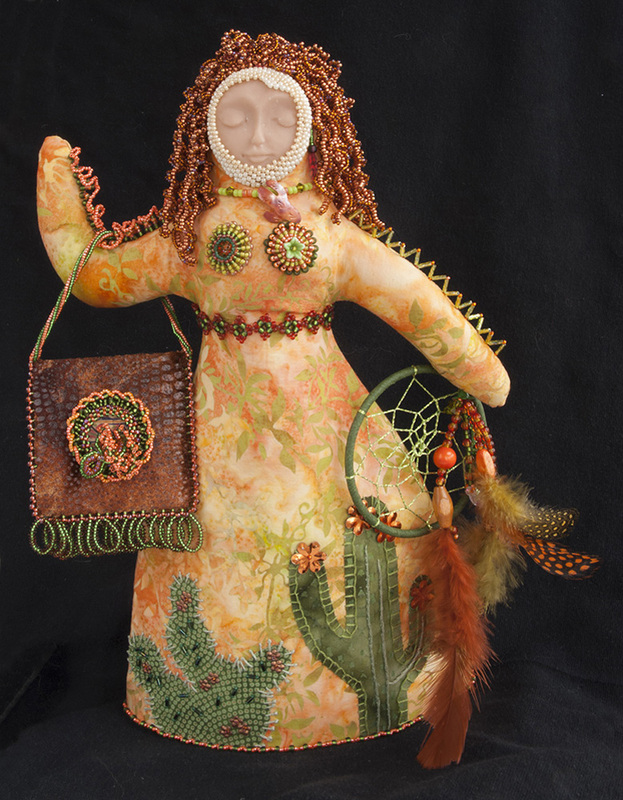 Saguaro Sue is a piece designed by Carolyn Sherman. When I saw her I knew I had to have a kit. I made few changes and followed most of the instructions. The beads around the face are a bit different, partly because I lost some beads and used some of my own, which changed the color around her face. I decided to bring down a portion of the beads to get a different look on the face. Some of the instructions were just guidelines, so I had to figure out where to place the cactuses and what beads and stitches to use to secure the cactuses around the bottom of the skirt. I used some of the different stitches suggested, but chose not to make them perfect.